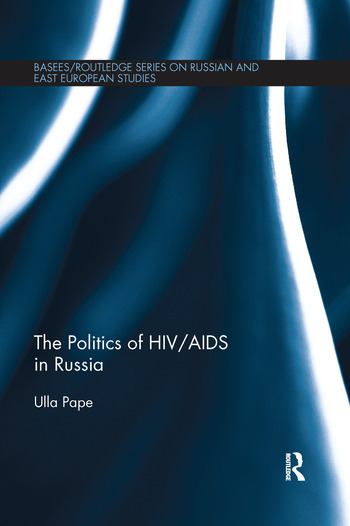 This book studies the role of civil society organisations in the fight against HIV/AIDS in Russia. It looks at how Russia’s HIV/AIDS epidemic has developed into a serious social, economic and political problem, and how according to the United Nations Programme on HIV/AIDS (UNAIDS), Russia is currently facing the biggest HIV/AIDS epidemic in all of Europe with an estimated number of 980,000 people living with HIV in 2009. The book investigates civil society organisations’ contribution to social change and civil society development in post-Soviet Russia, and thus situates a specific type of civil society actors into a broader socio-political context and questions their ability to represent civic interests, particularly in the field of social policy-making and health. This allows for a better understanding of the dynamics of state-society relations in present-day Russia, and gives insight into the ways HIV/AIDS NGOs in Russia have used transnational ties in order to exert influence on domestic policy-making in the field of HIV/AIDS. Ulla Pape is post-doc researcher at Radboud University Nijmegen, The Netherlands and senior research fellow at the National Research University Higher School of Economics, International Laboratory for Nonprofit Sector Studies.